“I first met the Williams family in Blackpool in 1992. Back then I was working for The Independent newspaper in London & Liberation in Paris. I spent a week with the family who were living in a hostel for homeless families in the town. The pictures caused quite a stir internationally at the time, highlighting what had been branded as ‘The Underclass’. 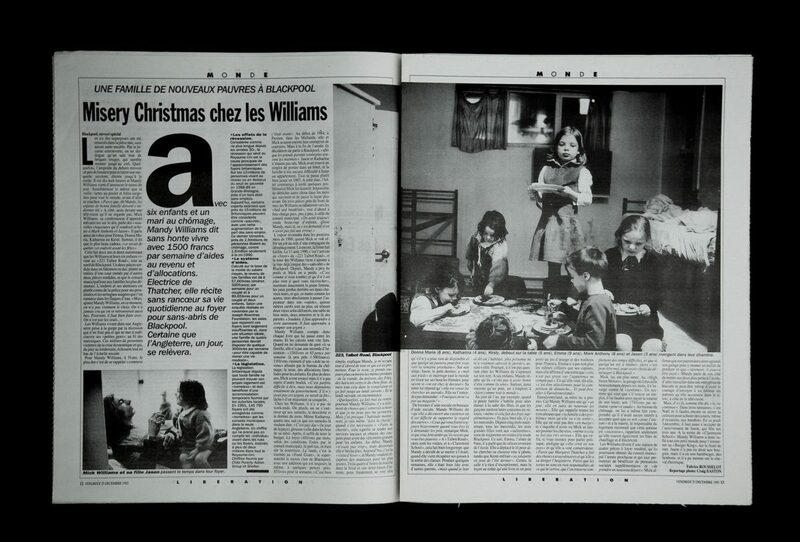 It was the first time The Independent had ever given over a whole page of the broadsheet to one photograph & the images of ‘The Williams Family, Blackpool’ are still remembered today as shocking depictions of the fallout from 1980s social policies.